Like anybody else in organisations, you need to evolve with it. I coded the entire first version of our product. Today, I do not code and have not for a while… and that’s ok. As the CEO, my role over time has evolved and where I need to focus my efforts now is on strategy and making sure our execution is flawless. Overseeing key customer interactions and making sure we keep hiring the best people we can is also something I spend a lot of time on. I love coding but that’s not where I spend my time nowadays because other people can do it much better than me and my value to the business is on other more strategical items. The same applies to employees. First you must attract great people. ‘A’ players attract ‘A’ players, ‘B’ players attract ‘B’ players. It may sound cliche but it is so true. You have to think quality over quantity any time of the day. Then you need to let people be who they are. Diversity of opinions is important, and it is critical to make sure people are well on-boarded but over time you need to give them, more and more responsibilities. As the CEO, you cannot make every single decision. It is hard to let go, but you need to do it and let people closer to the action make their own decision. This is how you scale. For employees to thrive, it is also important to have a fun and collaborative environment. Building a start up is hard, let’s at least try to make it fun. It is as much about the journey as it is about the destination. 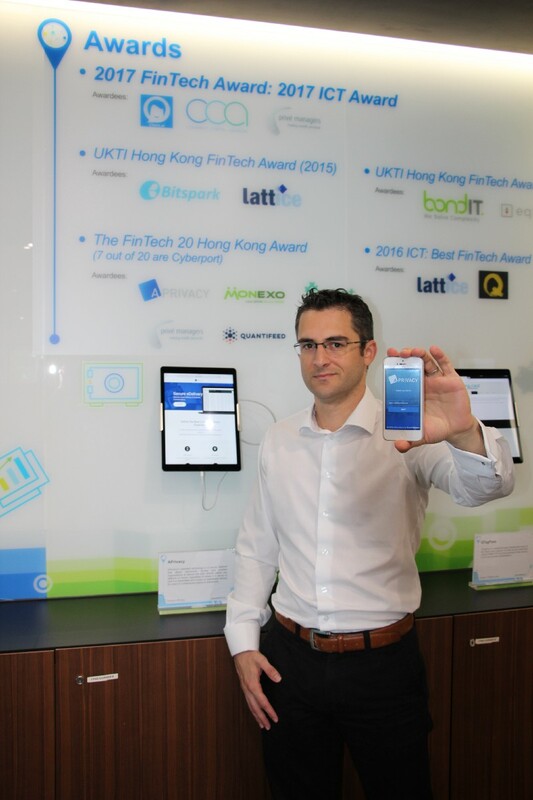 I had the pleasure of interviewing Dr. Cédric Jeannot, a cybersecurity expert and the founder and CEO of APrivacy, an award-winning FinTech firm (Accenture FinTech Innovation Lab, Top 20 FinTech in Hong Kong, MAS Global FinTech Accelerator, etc.) that provides the financial services industry with a seamless digital security delivering multi-channel customer experiences. 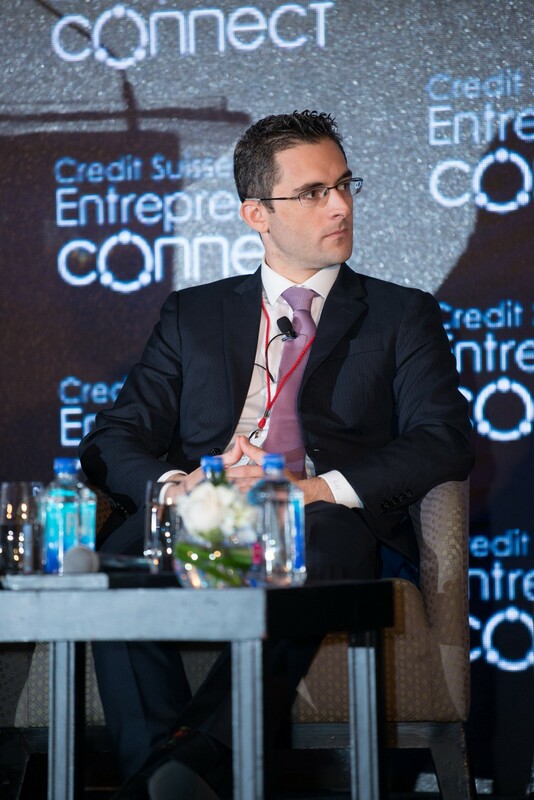 Cédric is a frequent speaker at digital security conferences worldwide such as G20YES, and has received numerous awards over the years, being recently selected as one of the Most Promising Entrepreneurs in APAC by EY. I have always liked mathematics and computer science, that is why I decided to do a PhD in Cryptography and Applied Security during my studies in the U.S. Right after, I founded my digital security lab based on my PhD’s topic of an innovative key management system. I received a patent and my company was launched. We started as a R&D security lab with our initial applications developed for governments and military agencies before pivoting to financial services. 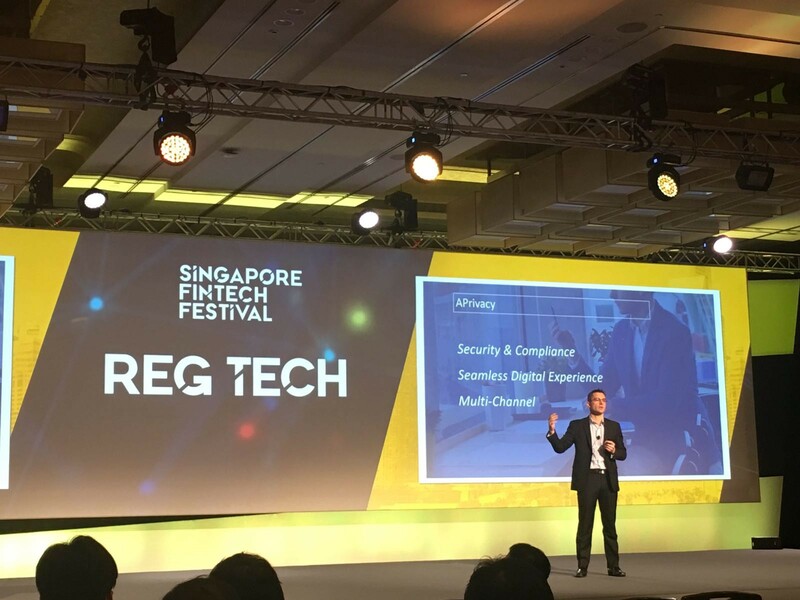 We saw a bigger opportunity to provide information security and tracking for Financial Services due to a significant demand from this sector as well as the increased compliance. The demand in APAC became bigger and bigger over time and we eventually expanded by opening a regional office in Hong Kong in 2015. Asia is our biggest market now and most of what we do is taking consumer applications and making them secure and compliant to be used for banking purposes. For example, customers can communicate and do their banking on WhatsApp or WeChat securely and compliantly, without the need for password or token. Sometimes positioning matters. We have a feature that we call ‘geo-fencing’. You can apply rules such as documents, emails or messages that are secured with APrivacy can only be opened in certain countries. For example, if a user tries to open a file in France, it works whereas it doesn’t if he tries in the U.S. This feature is quite important for regulation and disclosure of information in the financial services industry. It is very useful, and it works with advanced technology, however, nobody bought our ‘geo-fencing’ capabilities. One day at a meeting, a potential client said “hey, that’s a cross border issue”. Following that, we used the word ‘cross border’ instead of ‘geo-fencing’ and now everybody wants it. Same product, same use case, same technology, just two different words that make a massive difference in terms of sales. Our mission is to secure the digital world. With cyber attacks (which are getting more and more sophisticated) as well as privacy related scandal such as Facebook, what we do has never been so important. We do believe it is crucial to have privacy online and that can be achieved without a complex usage of technologies or asking people for passwords all the time. The focus on the mission and knowing that what we do matters is what keeps us going. Start-ups have a lot of ups and downs but that’s part of growing a company. It is critical to know where you are going, what are your goals, to be dedicated to them and to keep pushing when things are not as good as you wish. Our culture is that we just don’t quit… so, at some point, it works! Like anybody else in organisations, you need to evolve with it. At APrivacy, I coded the entire first version of our product. Today, I do not code and have not for a while… and that’s ok. As the CEO, my role over time has evolved and where I need to focus my efforts now is on strategy and making sure our execution is flawless. Overseeing key customer interactions and making sure we keep hiring the best people we can is also something I spend a lot of time on. I love coding but that’s not where I spend my time nowadays because other people can do it much better than me and my value to the business is on other more strategical items. The same applies to employees. First you must attract great people. ‘A’ players attract ‘A’ players, ‘B’ players attract ‘B’ players. It may sound cliche but it is so true. You have to think quality over quantity any time of the day. Then you need to let people be who they are. Diversity of opinions is important, and it is critical to make sure people are well on-boarded but over time you need to give them, more and more responsibilities. As the CEO, you cannot make every single decision. It is hard to let go, but you need to do it and let people closer to the action make their own decision. This is how you scale. Over the years, many people have played an important role in making the company what it is today. Whether it is our first angel investor who backed me up on an idea or a mentor spending hours every week to coach me. All of them contributed to make me the CEO I am today. One person who has played and continues to play a critical role in the company is our COO/CFO. He brought maturity, experience and structure to the business. He put in place the proper foundations of APrivacy and enabled the company to be a quality enterprise that scales. We complement each other very well and there is no way we could have executed on my original vision if he was not there. I owe him and a few more people a great deal. Can you share what you believe will be the “Top 5 Fintech and Banking Trends Over The Next 3 Years”? ‘Disruption’ may be the most applied word to refer to banking over the past few years. Among all existing fintech’ innovative technologies, specific trends can be considered for the next 3 years: conversational banking (chatbot), utilities on blockchain (e-KYC), cross-border money (cryptocurrencies), AI (dynamic portfolio management), and predictive modeling on data. The other trend worth discussing should be the application of blockchain technology to an actual use case related to the regulated banking industry such as e-KYC. Blockchain technology enables strong data control and proper, seamless identity management. It can provide a secure, decentralised and efficient platform for banks to gather, validate, share, store and update over time customers’ KYC information. I am from the technology sector. I think technology is a significant empowerment tool. I wish more tech entrepreneurs would focus their business on solving real problems and make the world a better place. Too often people get caught in the hype and want to work on certain topics because it is ‘popular in that particular’ news cycle or they think it will attract more funds. For example, blockchain this, blockchain that at the moment. However, too often there is no use cases. I think that if we can order a cab in one click with a smartphone, we are able to leverage technology to tackle some of the biggest problems on heart (poverty, access to health care, etc). From my experience, it is far more important to solve actual problem, and in the long term it is more relevant for society and more rewarding for entrepreneurs.